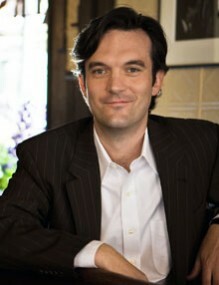 AOL has a new editor for movie ticket portal Moviefone: Vanity Fair web boss Michael Hogan. Hogan will take the spot last occupied by Patricia Chui, who was fired by AOL in April. Hogan, who starts his new job June 26, will wear multiple hats: His official title is “Executive Features Editor”, and his duties also include running AOL TV. But his initial focus will be on Moviefone, which he wants to overhaul. “We really want to take it from something that is successful as a ticket selling site, and try to make it into a robust gathering place for people who follow the movie industry and people who love movies,” he said. Hogan said he’ll hire fulltime editors and writers to beef up content on the site. AOL fired Hogan’s predecessor after she distributed a memo informing Moviefone freelancers that their contracts were ending, but that they could contribute to the site as unpaid volunteers. Chui’s defenders said she had been treated unfairly by AOL, which was in the process of overhauling all of its editorial teams after acquiring the Huffington Post. Hogan says he’s comfortable that any controversy surrounding Chui’s departure has dissipated. “I talked to the folks there about that situation, and I understood where everybody was coming from,” he said.